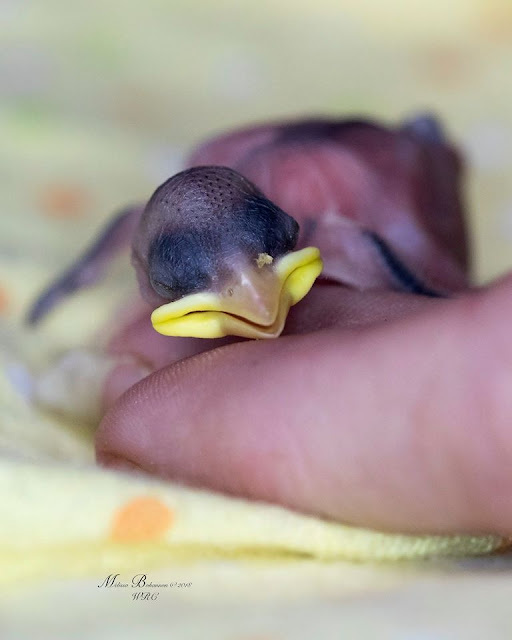 It's the time of year when there are a lot of baby birds and well-meaning people want to help them. But first, be sure the baby really needs help. 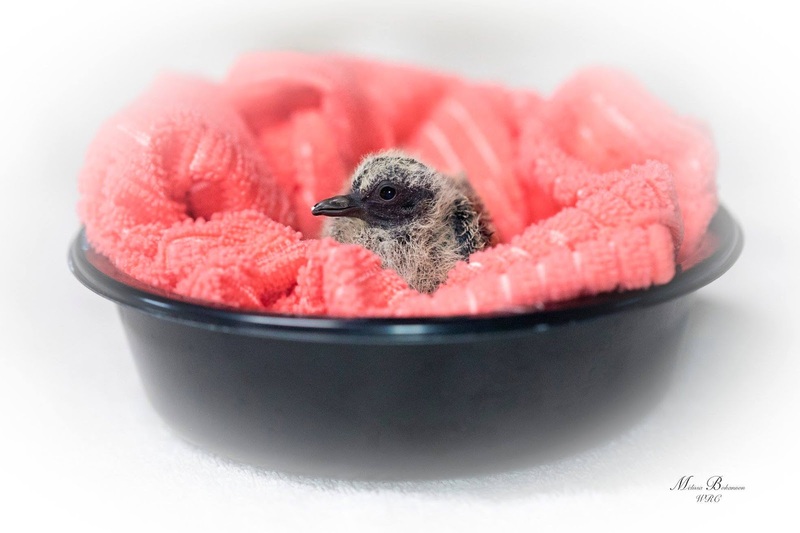 Here are some tips from Wings Rescue Center if you find a bird you think is orphaned or abandoned. During nesting season and as the babies are learning to fly you may see birds on the ground. Some birds nest on the ground and you should only interfere if the bird appears to be injured or is in danger from predators such as cats and hawks. 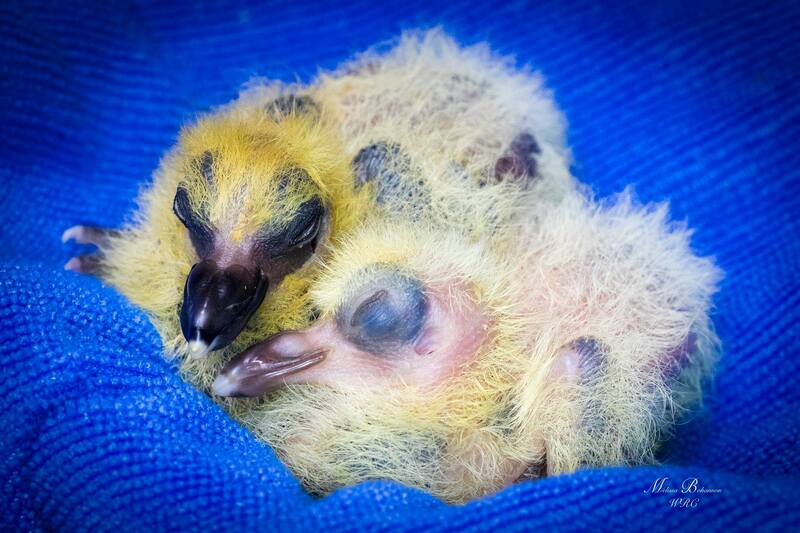 Baby birds that have fallen from their nest should be returned to the nest, as long as the nest can be safely reached. If the nest cannot be reached, gently pick up the baby and place it in a substitute nest nearby. Old plastic butter tubs or small baskets lined with dry grass will work. Watch from a distance to see if the parents come back and take care of the baby. Be sure that you do not leave the baby on the ground (fire ants will get it) and that it is safe from cats and other predators. It’s a myth that the parents of a wild bird will reject a baby touched by human hands. Hummingbird nest from trimmed tree. Sadly, the babies could not survive. Baby birds that cannot be returned to their nest, and those in danger, should be placed in a small dog crate or a box with air holes. Call Wings Rescue Center at 361-205-0892 as soon as possible for transportation to rehab. Babies, like this sparrow, are all mouth. Many of our high oak trees are too tall, especially in the Bent Oaks rookery. In that case, if you can pick up the baby transport it to rehabilitation. Do not try to put large bird babies (like herons and egrets) back in their nest. If possible, place them in a plastic dog crate or a large box and call for a Wings volunteer to pick up the baby. Volunteers are usually able to come quickly but the dispatcher can provide additional guidance if you need to hold the baby for awhile or if you can take the baby to the rehabilitation center in Rockport. Folks are also reminded to look before trimming trees at this time of the year. 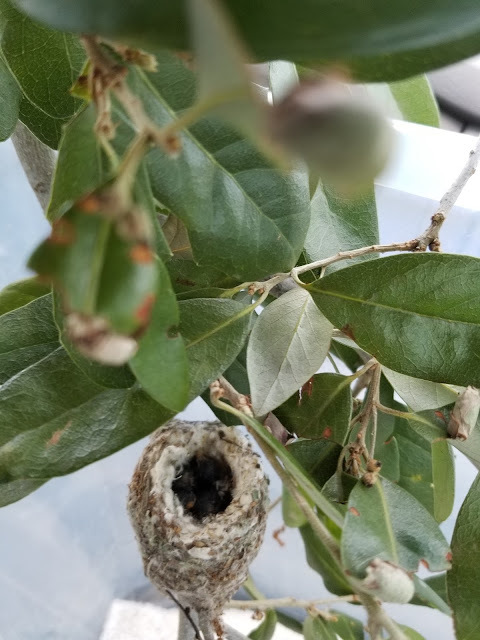 Wings Rescue Center is raising tiny baby hummingbirds found in a nest from a tree that was recently trimmed. If possible, wait to trim trees until summer or look carefully to ensure there are no nests in the limbs being removed. Birds also nest in outdoor lights, especially those on patio ceiling fans, and on or in other safe places, although some ground nesters like to nest in very inconvenient (to humans) places on patios, driveways, and walks. Call for help if you absolutely must move a nest. During this busy time, Wings is in need of volunteers to raise babies. They need to be fed every hour or so during the day but not overnight (no losing sleep like with mammals). It is extremely easy to feed them and they have big mouths to accommodate getting lots of the appropriate food. Wings will provide the food and train volunteers and they grow up very quickly so it is not a long-term commitment. It's one of the most rewarding jobs you can have and in most cases you can be involved in releasing the birds back to the wild. Join Wings Facebook group to see photos and keep up with rescue and rehabilitation work in Aransas County and call Kay at 512-784-8223 to volunteer.